Fitted to our Australian made pallet forks frame, Digga Bale Spears are designed for picking up square and round bales with minimum effort. Ability to add Pallet Fork tynes. Ideal for lifting square and round bales. Suits skid steers, front end loaders & tractors. 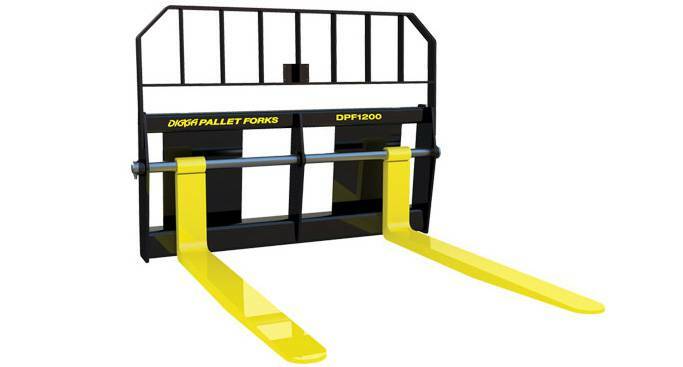 Includes standard pallet fork high visibility frame. Removable Bale Spear tynes with the ability to add Pallet Fork tynes. Fits up to 3 Bale Spear tynes onto the one frame. For pricing or more information about the Bale Spears fill out the form and we&apos;ll be in touch soon. Alternatively call (08) 9457 1544.